Around the year 1,000 CT, long before Columbus sailed the ocean blue, Vikings, sailing west from Iceland or Greenland came upon the shores of Newfoundland. Their settlement on what would become Canada’s easternmost province wouldn’t be uncovered for another millennium. 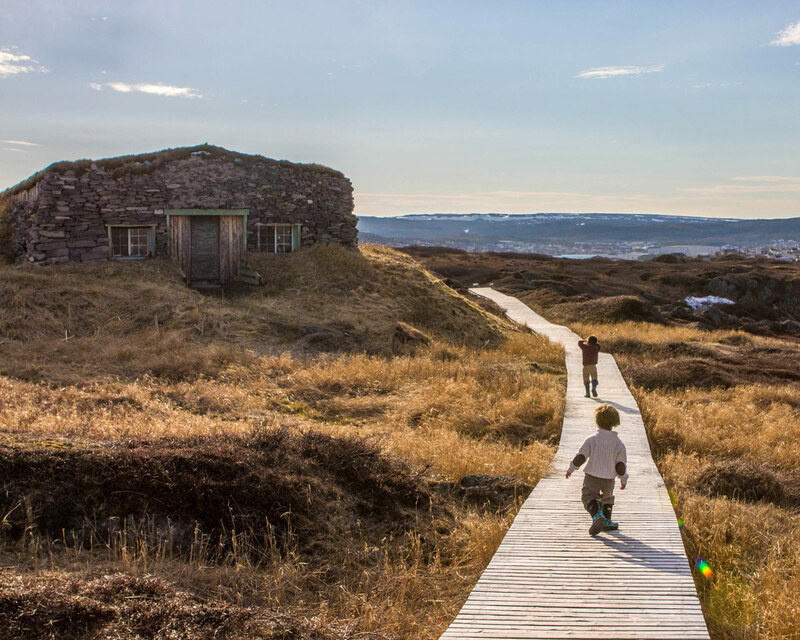 As new settlements and historic sites are discovered, a pathway back in time is opening up, allowing visitors to step through history and experience the Newfoundland Viking Trail. What is the Newfoundland Viking Trail? The Newfoundland Viking Trail is a step back in time, taking you from the beginnings of the earth through Native burial grounds to 1,000-year-old Viking settlements all while touring Newfoundland’s glorious west coast. Beginning just outside of Deer Lake, the Newfoundland Viking trail then heads to the incredible UNESCO World Heritage site, Gros Morne National Park. Gros Morne is at the tip of the Appalachian Mountain range. It features glacier-carved valleys, lush wilderness and some of the world’s most incredible geological formations. Then, the Viking Trail snakes along the western coast of Newfoundland, offering incredible opportunities for whale-watching. The Viking Trail continues up the coast to the northernmost tip of the island of Newfoundland where you can visit the remains of an ancient Native village and the famous Viking settlement of l’Anse aux Meadows. 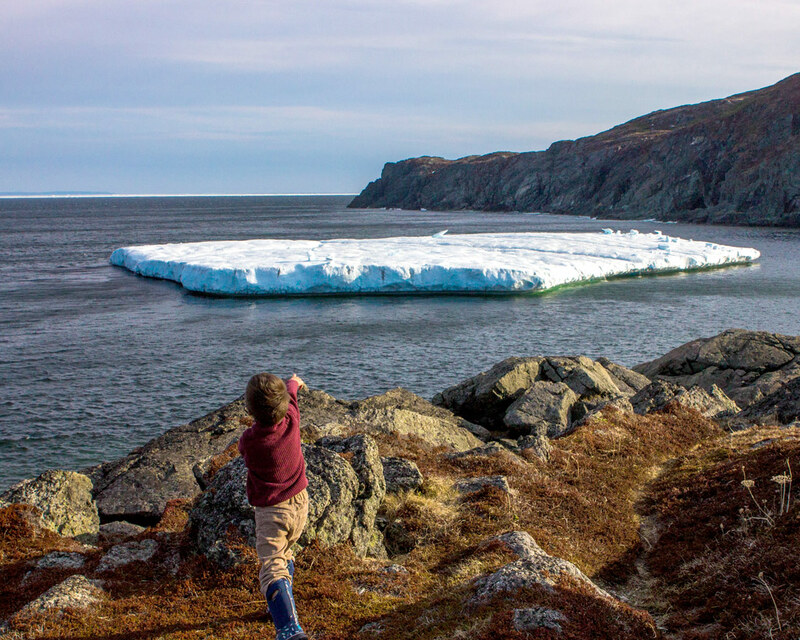 The route concludes at the town of St. Anthony, where you have the chance of seeing the incredible icebergs that flow through the area during late spring and early summer. What to see on the Newfoundland Viking Trail? 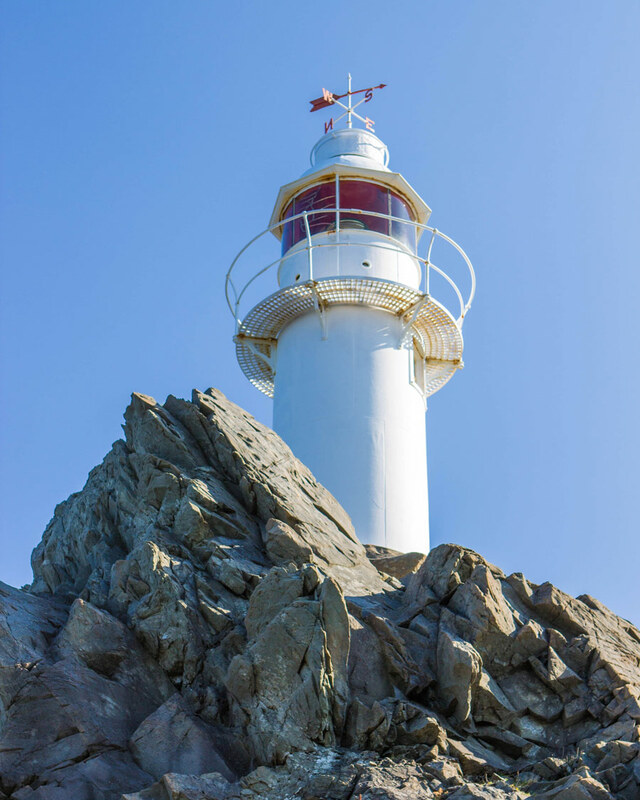 Lobster Cove Head Lighthouse on the Newfoundland Viking Trail has more to offer than meets the eye. With trails leading to the rocky shoreline, it’s among the best places in Newfoundland for whale spotting. In fact, we spotted our first whales in Newfoundland from the walkways near Lobster Cove Head Lighthouse! Lobster Cove Head is also a popular spot for catching the beautiful Newfoundland sunsets. 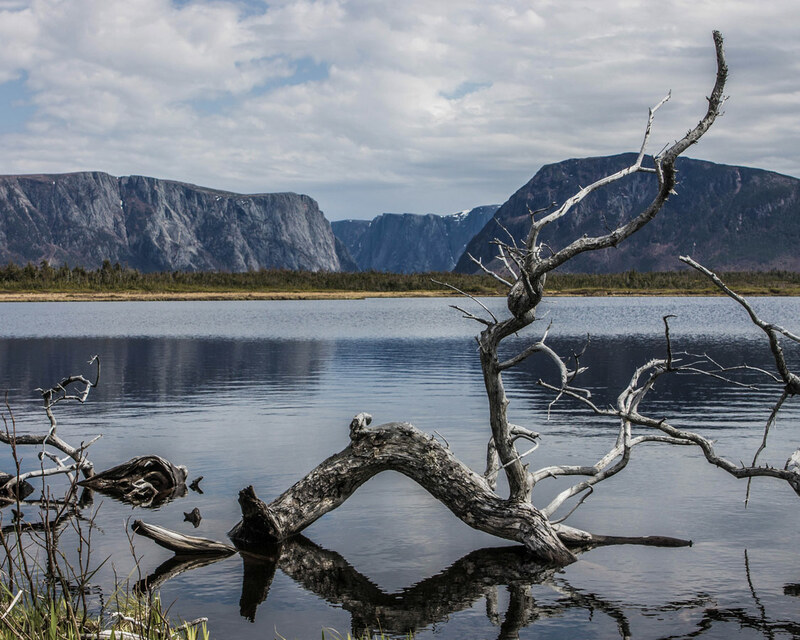 A landlocked fjord, Western Brook Pond is one of the most iconic sites within Gros Morne National Park. Carved out thousands of years ago by retreating glaciers, Western Brook Pond is a haven for those interested in waterfalls and wildlife. The best way to see Western Brook Pond is by boat tour, where you will explore the 16 km length of the lake and see waterfalls cascading 2,000 feet down sheer cliffs. 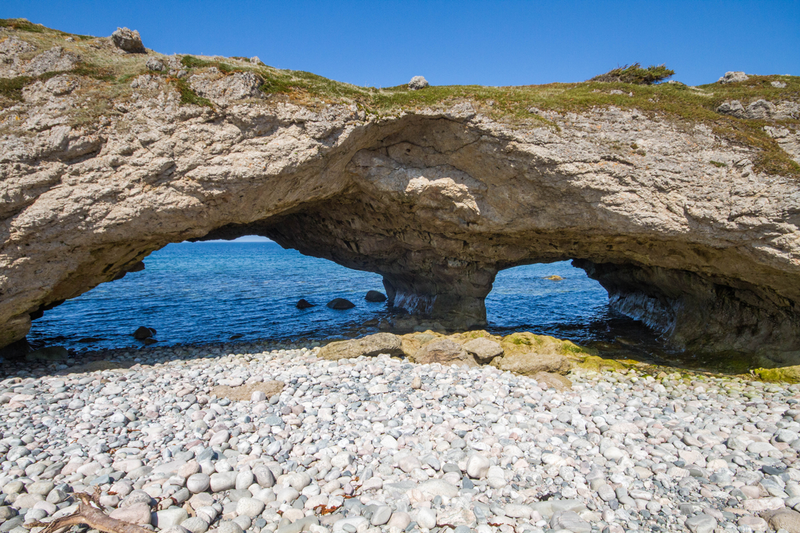 Ancient limestone rocks carved by the Atlantic Ocean helped create the incredible arches at The Arches Provincial Park along the Newfoundland Viking Trail. Not far from Western Brook Pond, The Arches Provincial Park has picnic areas and a rocky beach. You are able to walk through the arches and out into the pounding surf for a powerful experience. 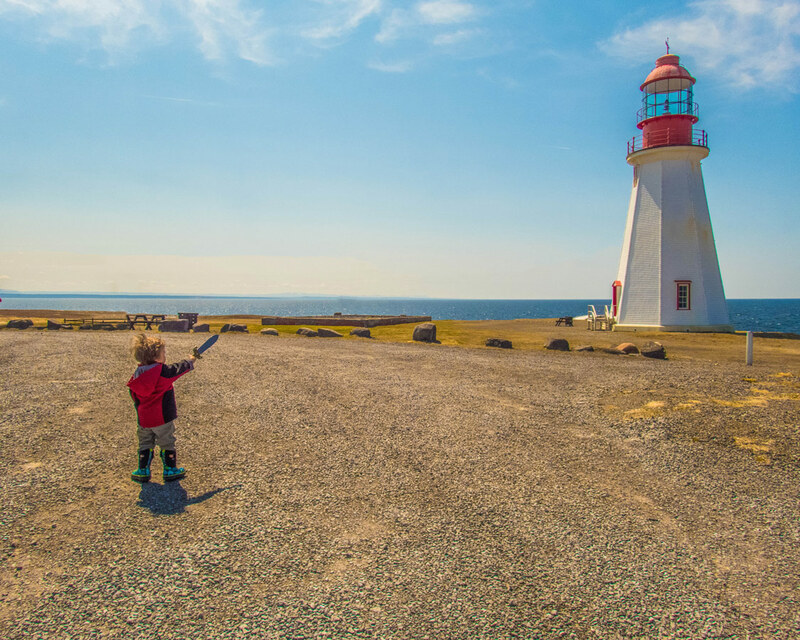 Port aux Choix National Historic Site offers a fascinating glimpse into Canada’s ancient history. On this site, human habitation dates back 6,000 years. Through the ages of Maritime Archaic Indan, Dorset and Groswater Paleoeskimo and more recent Native habitation, humans have made camp on the shores of Port aux Choix to live off of the abundant sea life on its coast. The site features newly uncovered burial sites and relics such as spears and harpoons. Discovered in 1960, l’Anse aux Meadows was the first site to offer conclusive proof of European presence on North American soil prior to the Columbus excursions of 1492. The site contains the remains of houses, a boat repair building, and workshops. l’Anse aux Meadow was likely used as an exploration camp by Norsemen from larger settlements along the St. Lawrence and New Brunswick. 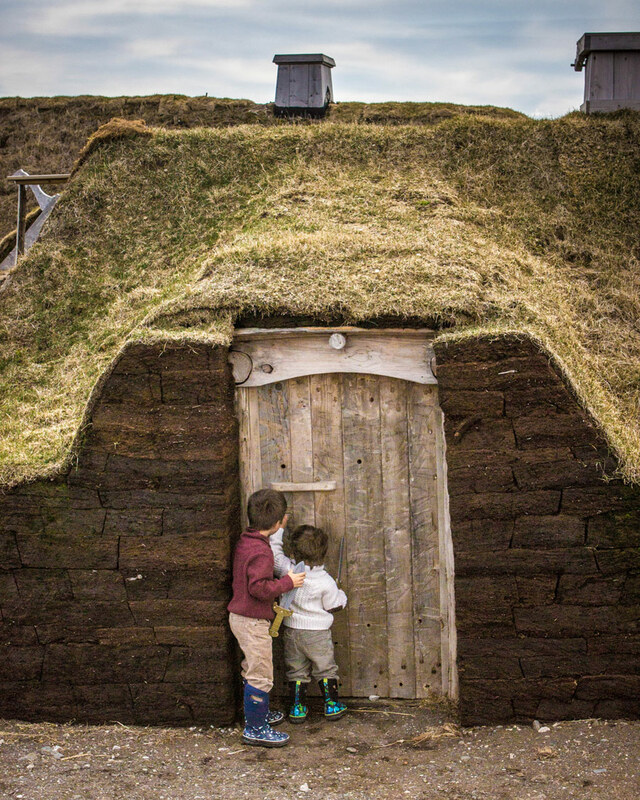 A visit to l’Anse aux Meadows isn’t complete without seeing the Interpretive centre, where you can gain a full understanding of Newfoundland’s Viking Trail history. The Newfoundland Viking Trail comes to a dramatic end in the town of St. Anthony at Newfoundland’s northern tip. St. Anthony deems itself as the Iceberg Capital of the World. During the summer season, icebergs, some of them hundreds of feet long, make their way along the coast of the island of Newfoundland. Many icebergs stop to visit the town of St. Anthony along the way. 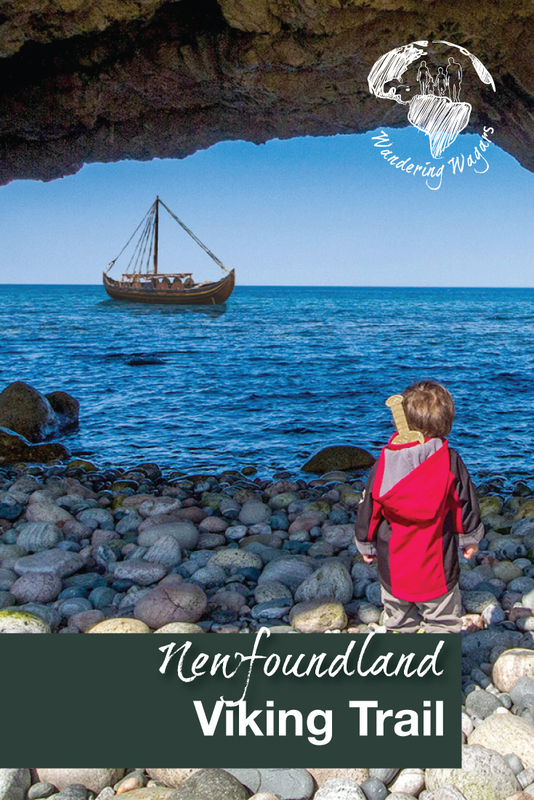 As a family travel destination, the Newfoundland Viking Trail offers the perfect combination of history, natural beauty, and fascinating culture. It’s a destination that shouldn’t be missed for anyone looking to visit Canada’s east coast. Holy canolies! Your photos are amazning! I want to go and visit! Love this post! It looks like an incredible trail. Your children really add some life to the photos – love the image with your little Viking yelling with his sword in hand. Too cute! Thanks for sharing! Those cavey arches are incredible. I love all the ways that water erodes land and rock into such interesting shapes. The view of the red and white boats along the dock was really stunning… did you use a droid to film? Wow. So interesting so exciting to read this, because I love history and the viking trail is right up my alley. I will add this to my must see list! The photos and info are great! This trek looks and sounds wonderful. What an experience. Wow, I wish my parents took me on adventures and trails like this or maybe they did, I might not remember. But kudos to you guys on traveling like this with the kids. Amazing photos btw and you have a drone??? I always wanted one but 1. I would be terrible at controlling it, would land in ditch or sea and 2. aren’t they terribly expensive? Looks absolutely stunning, but hey, you got me on the first lighthouse pic! Gorgeous photos. Love the one of the boys checking the door in the Hobbit house. So cool to experience living history like this. Looks like you had a blast! Loving the pics. That looks like a great trail! What an awesome piece of history. I’d love to see it in person! Those naturally formed arches are a sight to behold! Newfoundland reminds me of New England, specifically a mixture of Cape Cod and Rhode Island. I bet it’s breathtaking when there’s snow. I’ve only been to Toronto but I definitely want to explore more of Canada for these scenic views. I first read how the Vikings discovered North America a few years ago and have been fascinated ever since… Can’t wait to visit this UNESCO site one day. Looks stunning and so full of history! Glad you go to experience it. I would love this place just starting from the light houses: they are amazing! The pictures with your children are fantastic! Have done many trails before. This one looks different and more refreshing! I love the way you shared the history. Thanks for sharing. You have done this area of the province proud! I am “Newfoundlaner by birth, Ontarian by choice”. When our 2 children were small, we took them every summer to a different area of the province in a tent, or small trailer. They got to experience much of what you report here. There is also so much rich history in the small communities off the beaten path, along the east coast of the northern peninsula, in Trout river and other small communities in Bonne Bay. Just one minor observation in your description,……………….the province is the most easterly, not westerly, province in Canada. As a matter of fact, Newfoundland bills itself as the most eastern end of the western world, or something like that! Thanks for posting this. Loved this post so much. A lot of information and beautiful pictures. The best part was seeing the pictures and the happy faces of your little ones and how involved they are. It is so wonderful for children to be able to see and explore the world as well as develop a love for travelling and exploration at such a young age. You guys are fantastic! I really like seeing how you explore the world with your kids. It’s really sweet. I’ve been super interested in Vikings lately. I did a “How to Train Your Dragon” summer camp with my students and taught them a bunch about Vikings (as I had to learn myself). I think Newfoundland would be great for my curiosity! The nature is so incredible. The Vikings had it good because they ate whale. Did you know that? These are all really beautiful on its own, the history attached to them is an added plus! I like that none of them are too crowded, I imagine it being quiet and peaceful. that looks amazing! I never really thought about going to Newfoundland (and I only understand after your article that it’s actually New-found-land ) but it sounds so interesting and your pictures are stunning that I am intrigued now ! And I am sure my boys would love it! Looks like an amazing trail from the way you have presented it. I hope I can get around the place some day! Enjoyed this virtual travel through your pics. Limestone rock formations and lighthouses? This looks like SO much fun. I would love to go on a viking trail some day – also such a unique, educational and fun activity for the entire family. You’re continuing to entice me to this area when I visit Canada next year. Love the lighthouse, the whole idea of the Viking trail, the lake and of course it was your writing on St Anthony that first got my attention. Great article, beautiful photos and a great all round experience that you’ve shared. Wow I had no idea that the Vikings made it all the way over to Canada! That is such a neat bit of history. I love all the little lighthouses on this trail – they look so well taken care of. Also the Arches Provincial Park looks like a beautiful place to visit. Oh wow! This definitely looks like trip and trail I would love. Always preferred the outdoors when traveling, and the geological aspect here sounds incredible- because geology shaped human history! Newfoundland is one of those places that doesn’t get enough attention. Your piece brings back memories of seeing the icebergs a few years ago. Following the Viking Trail sounds like a fantastic idea. What a fantastic place to visit! My ancestors certainly got around didn’t they? The photo’s are wonderful too, so evocative of a wild place on the edge of the world, or so it must have seemed to the Vikings! What a great destination with a little bit of everything: nature, history, and culture. The Viking world has always seemed interesting to me. Sounds like a wonderful place to visit! Your video of The Arches Provincial Park really pulled me in! I thought that it was cool that you can actually walk through them and get a closer look at the waves. What a great place to family travel! Your kids are rocking on the photos! Congrats! Lovely kids! I’ve always enjoyed reading about your different travel adventures. I’m amazed that the totting kids around seems quite easy for you guys! This is a fascinating journey and all the more so because of the “Viking Trail”, I am sure the kids loved it and had a wonderful time. What a fantastic trail to hike! It looks so varied, and completly beautiful! It looks like a beautiful trail! I actually didn’t know that there were proof of previous communication between continents prior Colon. I think that place would be too cold for me, but your pictures were beautiful and your kids seem adorable! Oh beautiful view, and perfect for kids during summer vacay. Glad that your kids enjoy the trip! historic places are the best! I have only learned about Newfoundland on your post. It made me search even more about it after reading. It looks otherworldly, nothing short of breathtaking even. I haven’t been to Canada yet. The idea of traveling with children makes this even more appealing. This looks awesome! The The Arches Provincial Park looks like such an interesting point of interest. Your photos are great as always! How cute 🙂 I love the pictures of the little ones, so sweet! I keep hearing about how great Newfoundland is, and now I’ll have to visit sometime myself! Newfoundland Viking Trails looks amazing. I love the ambiance just by looking at the photos. A definitely must visit place in Canada. Kevin – your blog is stunning. Totally love it. Drone footage was awesome. I wonder whether you thought of landing it on the iceberg 🙂 I also love the interactive map where you show the places you have been to. Can I know how you did it ? Are there plugins or did you code this from scratch ? Wow! This looks amazing. As an Australian, that image of the iceberg floating by just seems so surreal. Thanks for sharing this great story showcasing some history and geography off the coast of Canada. There are some very interesting things to do on the trail. I would love to see the Lighthouse and the view from up there. Thanks for the beautiful guide to the Vikings Trail. Love the way the History is keep on this trail, mixed with the beautiful scenery. Can you stay in that Rock House at the beach. Or maybe a lighthouse. I have always wanted to do that. These Lighthouses aren’t open for overnight stays. Newfoundland does have the Quirpon Inn though, which I’ve heard is a cool place to stay. I can tell you’re a creative designer by the layout of the site–nice job. And nice pick for a subject I’m sure few know about. Your kids are so adorable! I’ve heard from friends that the arches and the lighthouse are really nice but I’ve yet to go so thanks for the tips! Great to know about Newfoundland viking trail and the history behind it. Loved your pictures they are just stunning. Isnt it awesome to spot a iceberg, glad you did and we hope to someday. Wow these are breathtaking photos. I love that you brig your kids along with you on your travels so that they can experience this and gain these perspectives while young! Thanks so much! We love having them with us, and they are constantly talking about all their favourite experiences. That house at l’Anse aux Meadows looks like a hobbit house and Newfoundland looks seriously magical. It has never really been on my radar, honestly, but I learned so much just from your article – I’d love to explore more viking history in such a beautiful setting! Such a great and inspiring travel story. And the pics are amazing too. Western Newfoundland is indeed a great destination for family vacations. And this story sums it up perfectly. I wish you guys all the best in your future travels and I’m looking forward to reading more stories like this. Cheers! Beautiful! I’ve only been on a brief visit to Newfoundland and knew I wanted to explore more. This post confirms it! I love all the drone shots in your video. Is usage heavily regulated in Canada? I wanted to invest in one, but it’s so regulated here in the US that I was afraid it wouldn’t be worth it. It has captured absolutely stunning images of your travels though! Thanks so much! It’s a really beautiful place. Drone usage in Canada is regulated similarly to that in the US. There is a lot of opportunity to use them so long as you follow the rules and are considerate to the properties and people around you. Canada is such an amazing country. I had no idea there was a viking trail in Newfoundland. I would especially love to see the lighthouses for myself. Newfoundland Viking Trail looks just amazing for spending some good time with nature with such a breathtaking view. Looks like you had so much fun out there! Wow!!! This place is surreal! One of those amazing photographic destinations! Loved your video. Do you carry a drone with you? The photos are mesmerizing! I’ve always been fascinated with vikings and their mythology, and walking this trail would probably be an exhilarating experience for me. Totally in awe of the amazing drone footage. Well done on that one. The place looks really beautiful, even more with your photography skills. Now, this is an unusual site, something that I had not read of before. Your pictures and write-up make me really curious, am going to be looking for more. A perfect blend of history and nature. This sounds like our kind of trail. Some of those views are brethtaking! As always your photos are stunning! This looks like an amazing trail to do, the pictures are really beautiful and it seems the little guys had a blast playing Viking! We really want to make it to Newfoundland! Great photos that make us want to go even more!